JJ Grey & Mofro are about to ROCK The Kate! Owen and Moley Join Season 4 of The Kate on February 11th! Gina Chavez Plays The Kate on January 22, 2019! 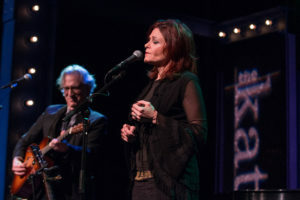 Rosanne Cash shares the story behind “When The Master Calls The Roll” from her Grammy-winning album, The River & The Thread. 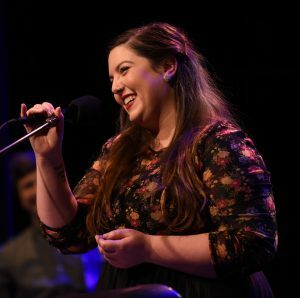 Check out the full version of Mary Lambert performing “Sarasvati” from her 2013 album Welcome to the Age of My Body on The Kate! 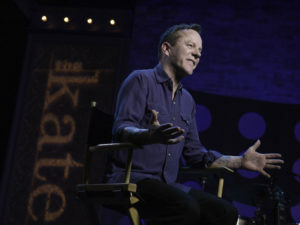 Kiefer Sutherland talks about that shocking moment when he first noticed a fan singing the words to his song “Not Enough Whiskey”. Check out his performance of the song as he performed it for The Kate audience. A CPTV Original series, The Kate presents bold performers with something to say. By way of delicate beauty or razor-sharp wit, these artists captivate audiences with a revelatory charisma and irresistible charm akin to the fesity spirit of our muse, Katharine Hepburn. Check local listings for broadcast dates and times. Americana Music is about all sorts of different music. It’s very free and open: a world where people just like authentic music. The patter is real, the themes adult; the lyrics are timeless, and the music swings like crazy! Jarrod’s story is told with humor, tender moments and great singing.